This ancient Japanese folktale makes an important point. All the people we meet and the books we read are mirrors. What kind of reflections do you see as a result of your literal and literary associations? What we project out from our inner being is what gets reflected back to us. Some call it karma, the law of attraction, or even divine justice. But whatever the case, it is an absolute universal truth in life regardless of your race, religion or reading habits. By controlling our thoughts, we see happy reflections everywhere. By controlling who is in our lives and what goes into our minds, we continue to manifest even more positive reflections. Whatever feelings and attitudes we project will often be reflected right back at us by the people around us. And if we choose wisely, we can transform ourselves into a person who is happy within and projects happiness throughout. Recent studies claim that one in four Americans suffers from depression. Don’t let your body catch a disease of the mind! It’s a well-known fact that as a man thinketh, so he is. If you are addicted to complacency and suffer from delusions of non-accountability, we have the inoculation, vaccination and preventive care that you can’t afford to be without! Read! Read life-transforming books as if your life depends on it, because it literally does. There are multitudes of example where a positive mindset conquered all, even physical and mental illness. Coverage is ten dollars per person per month. You can never lose coverage and we encourage, even specialize, in pre-existing conditions!! 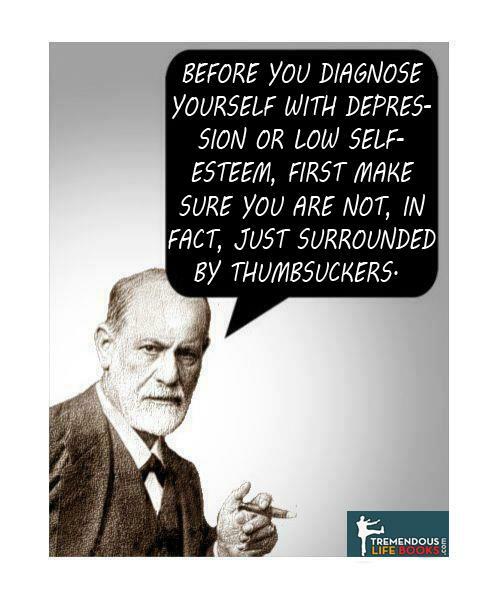 We even have a cure for cancerous attitudes, thumbsuckitis, and failure-phobia. 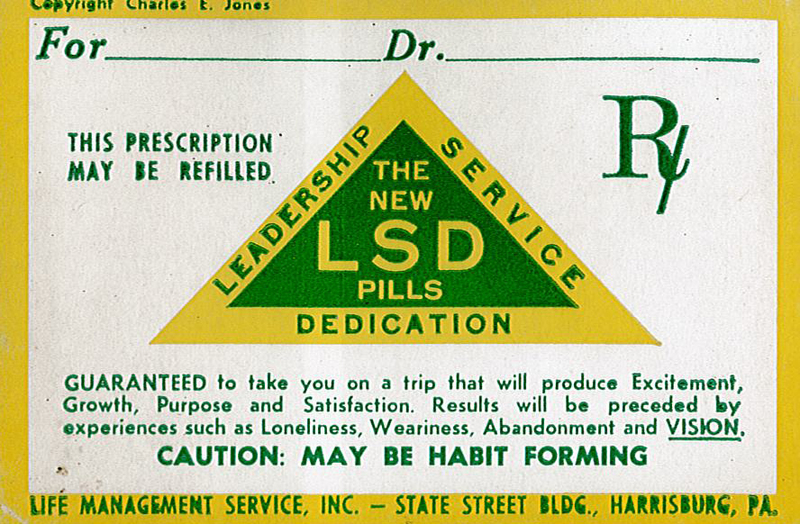 Forget marijuana, let’s legalize LSD: Leadership, Service and Dedication! Take a trip you’ll never forget! Users experience bouts of euphoria, a rapid succession of epiphanies, and a chronic need to make the world a better place. Negative side effects include possible paper cuts as a result of rapid page turning. We are pro-life—a tremendous one; AND pro-choice—wise ones. Parental consent not required. They’ve been waiting for you to enroll your entire life! This will not raise your taxes; however, it will most likely put you in a higher tax bracket. One-hundred-percent guarantee that in five years you will be a completely different person or your money back! A book a day keeps the doctor away. The Bookmaster General recommends spending a minimum of 15 minutes a day reading material that will induce prolonged periods of thought to stave off hardening of the heart and moral decay. Contact us to enroll in TremendoCare today! I confess I wasn’t very hip when I was in school. Part nerd, part band geek, and part quasi-athlete, I mixed with a wide range of kids and never made it to the top of any particular group. But that all changed when my dog wrote a book: at 49 years old, I catapulted beyond Justin Bieber status, all because of my dog, Mr. Blue. I had no idea that a dog in a tie walking onto an elementary school campus could cause such mayhem. He’s made so many appearances that his reputation precedes him. At every event, at least one youngster has already seen him and anxiously stokes the flames of what’s to come. And when we walk through the halls, its pandemonium. I hear growing squeals and packs of footsteps behind me as we move to the auditorium. Kids stream out of their classrooms, unable to be restrained any longer. It’s reminiscent of Beatlemania, where hoards of screaming fans just can’t contain their enthusiasm. Yes, my dog truly is a rock star minus the ego and self-destructive tendencies. I didn’t realize that dogs are verboten on school property in today’s world. There are signs everywhere. Hence, seeing a creature of the canine persuasion enter your facility is a little like seeing a unicorn. You think you’re seeing what you’re seeing, but you can’t actually believe it. 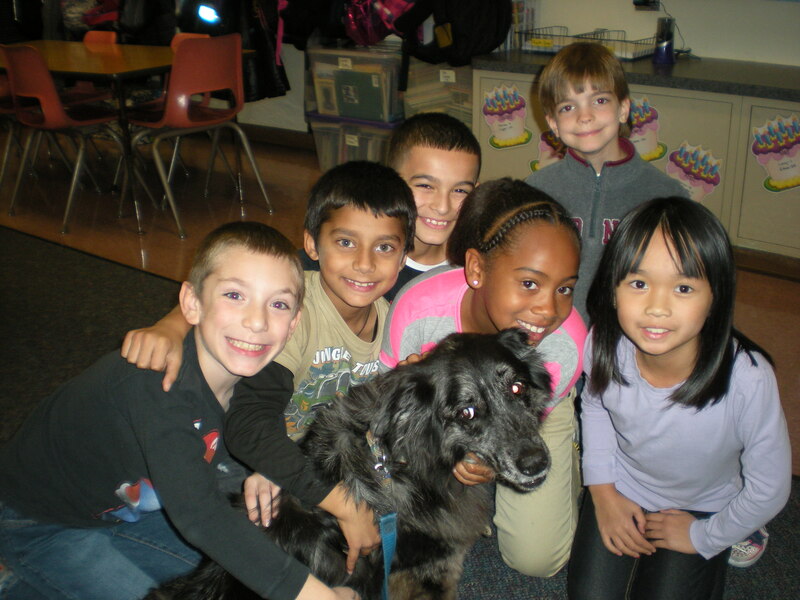 Mr. Blue met with 1,200 of the most pawsome K through 5th graders on the planet over the last two weeks. He gave an average of 10 kisses per student which puts him well into the six-figure range. He shared his leadership principles in the way that only a dog can do, with sweetness, unconditional acceptance, and hound wisdom. I never know who’s more excited about the whole affair; the dog, the students, or me. It’s seems to be the trifecta of learning and sharing together. But then again, with a dog at the center of the universe for the day, how could it be anything else? When I see the group photos of us all posing together I laugh. When I read the letters they send to me and Mr. Blue about what they learned I cry. When I realize how blessed I am to be sharing with this age group the timeless principles that make life tremendous with my best friend by my side, I think I’ve died and gone to heaven. It feels great to be the most popular kid in school but I’m glad it took me this long to achieve it. Now I know that being popular amongst the youngsters is all about making them feel valued and inspired. And I’ve got just the sidekick to help me out. If you would like to schedule an appearance by Mr. Blue, but you live outside of the Central Pennsylvania area, please be sure to send your private jet to pick him up. Rock stars don’t fly in the cargo hold!